Interior Design Ideas is designed for homeowners and design professionals. 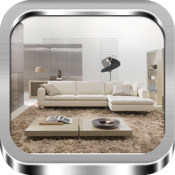 The app has one of the most stunning and comprehensive collections of home design images for the iPhone/iPad. Browse through our award winning interior images and save the ones you like to your device or share it with your designers, architect and contractors via Email, Facebook and Twitter.